U.S. export volumes continued to slump in July, falling for the third straight month. Suppliers shipped 148,777 tons of milk powders, cheese, butterfat, whey and lactose in July, down 13 percent from a year ago, and down 7 percent from June (daily average). Total overseas sales were valued at $416 million, down 33 percent from last year, and down 11 percent from June (daily average). To download a printable pdf summary of the July trade data, click here. Exports of nonfat dry milk/skim milk powder (NDM/SMP) were 40,546 tons, the lowest since February, and down 22 percent from a year ago. Cheese exports fell for the fourth straight month, dropping to 25,534 tons. This figure is down 21 percent from last year, and marks the third-lowest total in the last 29 months. 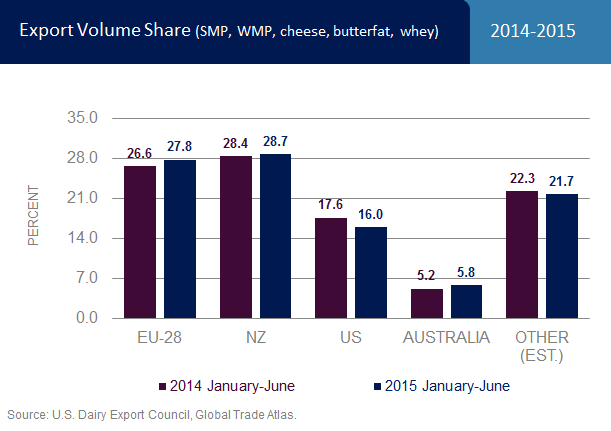 With very weak global whey markets, U.S. whey exports continued trending lower as well. Total whey export volume was 37,951 tons, a five-month low and down 11 percent from last July. Among other products, exports of butterfat (-65 percent year-over-year), whole milk powder (-67 percent) and milk protein concentrate (-56 percent) continue to lag. 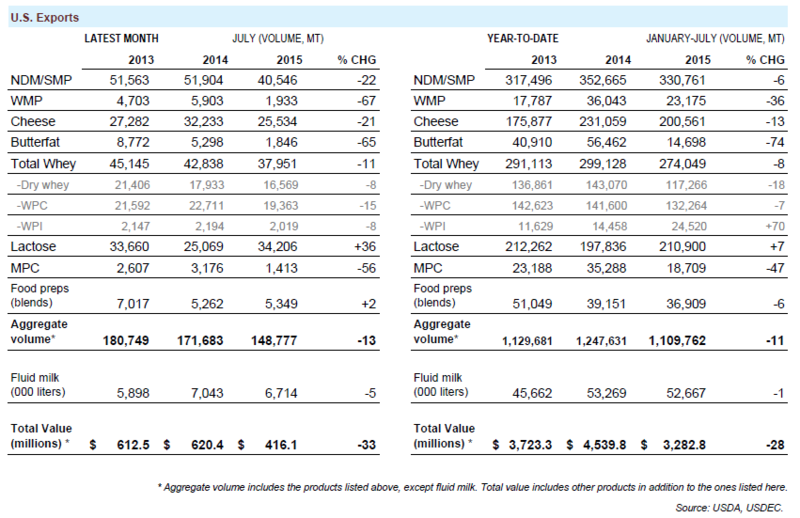 The soft July performance follows a first half in which U.S. suppliers lost share of global dairy trade. In the first half of the year, the United States accounted for 16.0 percent of global exports of milk powder, cheese, butterfat and whey, down from 17.6 percent in the first half of 2014. 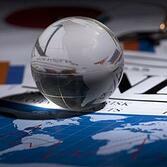 The European Union, Australia and Belarus picked up share at the United States’ expense. U.S. suppliers accounted for 26.6 percent of the NDM/SMP exports in the first half from the top 11 suppliers (who collectively are responsible for about 95 percent of world NDM/SMP trade). This is down from 29.5 percent in the first half of last year. Europe, New Zealand and Australia all picked up share. U.S. suppliers accounted for 19.1 percent of the cheese exports in the first half from the top nine suppliers (who collectively are responsible for about 78 percent of world cheese trade). This is down from 20.8 percent in the first half of last year. New Zealand, Australia and Belarus all increased share.